In order to explain this subject, I would like to pose a few more questions. 1. The Midrash on Shir Hashirim (2:7) says that those who forced the end (the Bnei Ephraim, Bar Kochba etc.) were punished severely “because they violated the end and they violated the oath.” Now, if the entire prohibition of forcing the end were only due to the oath, it would have been sufficient to say that they violated the oath. Why does the Midrash split the sin into two parts? Clearly there must be some independent prohibition to “violate the end,” aside from the oath. So we must ask: what is the source for such an independent prohibition? And if there is such a prohibition, why did Hashem have to place an oath prohibiting Jews from doing something that is already prohibited? 2. The Mechilta (Parshas Beshalach) says regarding the Bnei Ephraim, who left Egypt too early, “They did not keep the covenant of G-d, and in His Torah they refused to walk.” Since this incident happened before the Torah was given, how does it make sense to say that they refused to follow the Torah? 3. We have already quoted (Siman 20) the Maharal who says that one must allow himself to be killed rather than violate the oaths. Even if the gentiles force the Jews to leave exile under threat of a torturous death, they are forbidden to obey, just as if the gentiles were forcing them to worship idols, says the Maharal. Where did the Maharal get this from? An oath is not one of the cardinal sins for which one must allow himself to be killed. Regarding all commandments the Torah says “and live by them,” meaning that one may violate any commandment to preserve life, except for the three sins of idol worship, immoral relations and murder. 4. Furthermore, as the Rambam says (Yesodei Hatorah 5:4), even if one transgresses one of those three cardinal sins at gunpoint, he is not punished for the sin itself, because he is considered forced, and the Torah exempts a forced transgressor from punishment. He merely transgresses the positive commandment to sanctify Hashem’s name, and the negative commandment not to desecrate Hashem’s name. And even for that lesser transgression he does not receive lashes, since he was forced to do the act. If for idolatry, the worst of sins, the forced transgressor does not get kareis or the death penalty, then certainly one who is forced to commit any other sin in the Torah should not be punished. So if, G-d forbid, the nations force us at gunpoint to leave exile, it should be considered a forced act – as if we did not do it – so why should we be punished to be, G-d forbid, killed? This is aside from the problem that it is not one of the three cardinal sins. 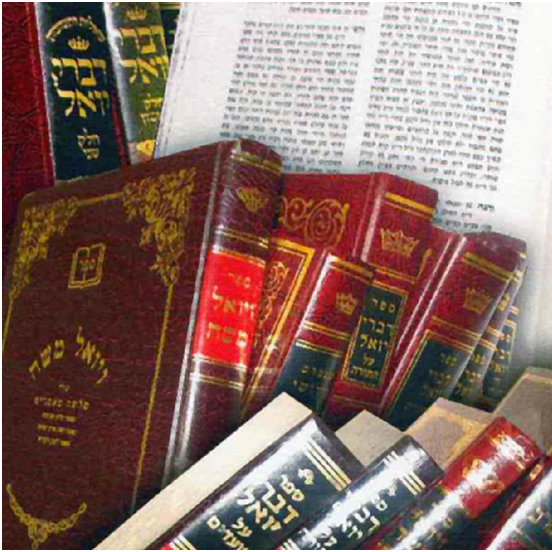 It is true that the punishment for violating any oath is worse than the punishment for any other sin in the Torah, as the Gemara in Shevuos 39a says: “Regarding all sins in the Torah, it states ‘He will cleanse’ but regarding an oath it states “He will not cleanse.’ For all other sins in the Torah, the sinner alone is punished, but for an oath, the sinner, his family and the entire world are punished.” Similarly, in Gittin 35a the story is told of a widow who was entrusted with a gold coin. She put it in a jar of flour, forgot about it and later baked it into bread and gave the bread to a poor man. When the owner came to pick up his coin, she swore, “May poison strike one of my children if I got any benefit from your coin!” A short time later one of her children died. When the Sages heard the story they said, “If this could happen to someone who swore falsely by accident, it could certainly happen to someone who does it deliberately.” And this is why they discontinued the practice that a widow, before collecting her kesubah, must swear that she has never received any of the money. Tosafos asks: Why was the woman in the story punished? Isn’t the rule that an oath made under a false assumption does not obligate a person to atone with an offering, as is derived from the verse “ha’adam bishvuah” (Shevuos 26a)? And it’s not only the offering: such an oath falls in the category of “shevuos shegagos” and is not a sin at all (Nedarim 25b). Tosafos answers that she was punished because she should have been more careful to watch over the gold coin, and she should have realized that she might end up swearing about it. We see here the severity of the punishment for an oath: even when a false oath was made due to lack of knowledge, since a little more advance caution could have prevented the sin, the person is harshly punished. We see that because the Israelites swore in public on the matter of the War over the Concubine at Givah [that all of Israel must send soldiers to the war] and we find that those who failed to comply with the oath, the people of Yavesh Gilad, were executed men, women and children – a sevevity that is not found even regarding Shabbos violators. We also find that Shaul wanted to kill his son Yonasan for violating the oath, although he had not heard about the oath when he violated it. And we find that Hashem brought a famine upon the land as a punishment for Shaul and his administration, who violated the oath made by the princes in the time of Yehoshua to the Givonim. Furthermore, idolatry and taking Hashem’s name in vain are the only sins whose punishment is written explicitly in the Ten Commandments. If the Jewish people had only this one sin, it would be enough to lengthen the exile and add to our sufferings, may G-d spare us. He continues to elaborate on this theme. We see from all of the above the extreme severity of the punishment for violating an oath. This is especially true of the Three Oaths, where Chazal say explicitly, “I will permit your flesh…” – an expression that does not appear in any other oath. Chazal also say explicitly that violating this oath lengthens the exile, as I will quote later. Nevertheless, all this is said only when there was some way the person could have been more careful to keep the oath. But where someone is forced at gunpoint, certainly the act is not attributed to him. This should be especially true of an oath, where there is a special derivation from the verse “ha’adam bishvuah” to teach us that a forced oath is not an oath. And there is no better example of a forced oath than a case when one is forced at gunpoint to violate an oath, G-d forbid. So how could the Maharal have given the oaths the extreme designation of “be killed rather than transgress”?